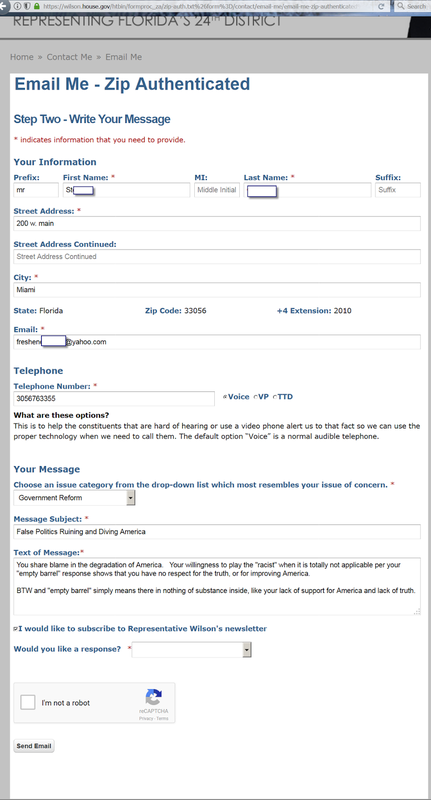 code and phone number to make your response get through the filters. 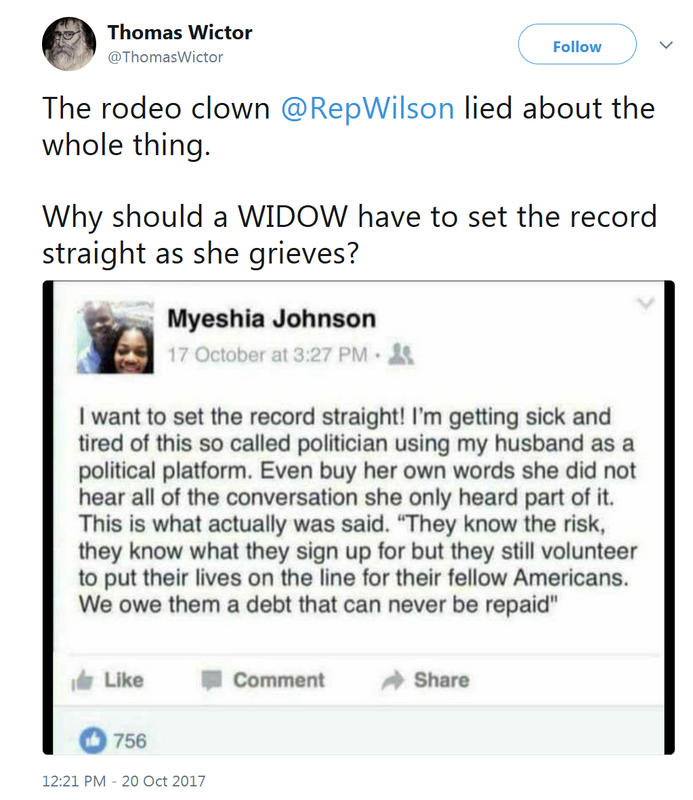 Wilson said Kelly’s use of the term “empty barrel” was racist, something she said she had to look up in a dictionary. stock here LOL and they complain about Trump's grammar. This costumed cowboy character cannot even even put a sentence that makes sense, together. You share blame in the degradation of America. Your willingness to play the "racist" card when it is totally not applicable per your "empty barrel" response shows that you have no respect for the truth, or for improving America. 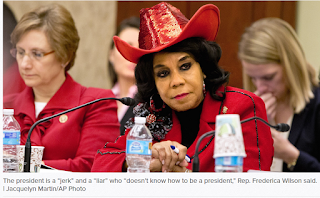 BTW and "empty barrel" simply means there in nothing of substance inside, like your lack of support for America and lack of truth. yeah....exactly Obama, you described the Dems/Libs as co-opted by the globalist asshats who seem to need to control the entire world. Hi stock, regarding Enenews being down, the website "fukuleaks" a/k/a "simplyinfo" has a Live + free chat. Maybe Enewsers could sign up there to discuss Fukushima? And you know about www.caferadlab.com also a good place for discussion. I added that to the article as a link, of course, now ENE is back up but pretty unstable too. New article today covering the North Korea Nuclear test mountain collapse. Wow, time for a new approach ladies and gentlemen where we move off the midway from Bozo Circus. The Grand Prize Game is rigged from stem to stern where we need to be a better player. Bartering is frown upon in Bozo Circus for it lessens profits going to corporations that enable asshats as Stock has pointed out. Super exceed the nag by nullifying the restriction which will leave ping pong balls bouncing off bucket #6. Mr. Ed can't do squat if you fix what you have. This slows the flow of money, I know it's hard not to buy something new but if we're to have a better society your sacrifice makes a difference, the consumer is king, not the CEO. Which leaves no money for the puppet show that's rapidly dividing us all. mark, I did s similar article, published after your comment but before I read your comment just today. great minds rant alike.